PinIdea is the second company to release X11 ASIC miners and apart from their large DR-1 miners that apparently had some issues with shipping they are ready to start shipping smaller X11 USB ASIC miners in a few days. PinIdea X11 USB ASIC Miner DU-1 is supposed to offer about 9 MHS X11 mining hashrate with about 7 Watts of power usage (1.4A at 5V), so you will need to use these with powered USB hubs capable of 2A per port to have some extra headroom. The price of the X11 USB miner DU-1 is set at 9 DASH or about $65 USD with the current exchange rate of DASH/USD (the price should include shipping cost) with shipping scheduled to start on May 24th. 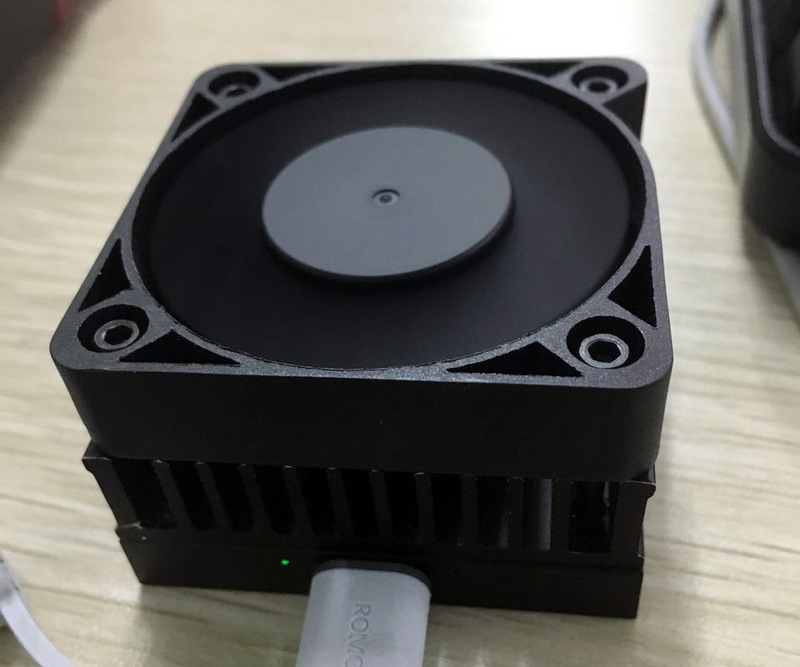 The small X11 USB ASIC miners should help provide the decentralization that X11 crypto coins need after the first large ASIC miners hit the market with a lot of hashpower in the hands of a few users. Not to mention that many people will probably get these miners just for fun and not considering ROI time and such as even though they are not that much powerful, they are still something fun to play with if crypto mining is your hobby. We have actually pre-ordered the large PinIdea DR-1 X11 ASIC miner a while ago as we wanted to review it as we did with the iBeLink X11 ASIC miner, but due to the issues the company had with shipping and miners arriving damaged we got a refund until they resolved the issue. Meanwhile PinIdea has already announced a new X11 ASIC miner called DR-2 that will be a redesigned and improved DR-1 offering 600 MHS of hashrate at 335W of power usage in a smaller and more silent enclosure. The catch is that the new miner will be available in August and that is quite some time from now and we are probably going to wait for this one to get it for a detailed review.